Drinking three to four cups of coffee a day can positively impact health more than it can harm it, according to a recent study published in The BMJ British medical journal. Pour yourself a cup, and read on. Health researchers looked at more than 200 previous studies and concluded that coffee can be a preventative for certain health conditions including cardiovascular disease, Parkinson’s disease, depression, dementia, some cancers, type 2 diabetes and liver disease. They also linked coffee consumption to lower risk of premature death. Earlier this year, Spanish researchers reported 20,000 people who drank at least four cups of coffee a day had a 64% lower risk of death than those who never or almost never drank coffee. 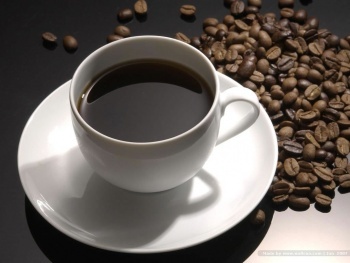 Two studies published in the Annals of Internal Medicine in July also connected coffee consumption to a longer life. An editorial by Eliseo Guallar from the Johns Hopkins Bloomberg School of Public Health in Baltimore, Md., said there is no way to know if coffee prevents chronic disease and reduces mortality because there are too many factors to consider such as why people start drinking coffee and what kind of coffee drinks they’re drinking. The author did remark that doctors should not recommend drinking coffee to prevent disease and people should not start drinking coffee to improve health. Consumption of caffeine in other forms was not included as part of the study, as example caffeine-loaded energy drinks. In 2017, an American teenager died after ingesting the caffeine from a large Diet Mountain Dew soft drink, a cafe latte from McDonald’s, and an energy drink over the course of about two hours. Cause of death was a “caffeine-induced cardiac event causing a probable arrhythmia,” according to the coroner report. While many may worry that their caffeine consumption could put them at risk, the average person who drinks a cup or two of coffee has nothing to worry about. He noted that children should limit caffeine consumption, and caffeine and alcohol should not be mixed. While many may worry their caffeine consumption could put them at risk, the average person who drinks a cup or two of coffee has nothing to worry about.